As the CEO of Bank Leumi since 2012 – now Israel’s largest bank with a market share of 30% – Russak-Aminoach has much to be happy about. When Russak-Aminoach, 52, took over Leumi the bank had been enduring dwindling net profits, falling from $495 million in 2011 to $249 million in 2012. However, thanks to a policy of embracing and incorporating technology in order to disrupt traditional banking, Russak-Aminoach is credited with reviving the bank’s fortunes — net profit increased to an incredible $977 million in 2017. Under Russak-Aminoach’s leadership Leumi became the first bank in Israel to use Cloud technology and then the first again to set up a specific “hi-tech” arm, known as “Leumi-Tech.” Interestingly, Russak-Aminoach didn’t come from what is considered to be a traditional tech background, first obtaining an MBA in Finance at Tel Aviv University followed by the completion of a L.L.B. Russak-Aminoach met her husband Re’em while studying in Tel Aviv. She recalls how the pair were chatting in a cafeteria, when her former high school principal came over to discuss her final grade point average with her. Impressed by the remarkable intellect she demonstrated during that conversation, Re’em asked if they could study together – a partnership that worked so well that the pair later went on to marry and have two daughters! Israel by 1995. A successful stint with KPMG then saw Russak-Aminoach return to Leumi in 2004 as the Head of Corporate Division – the youngest member on the Management Board in the 116-year history of the bank. The appointment proved to be a prudent one. Between 2004 and 2012, an incredible 55% of the entire of Leumi Group’s profits were attributed to Russak-Aminoach’s Corporate Division. It was no surprise, then, that in 2011 she was promoted to become Senior Deputy to Maor, who had remained as CEO, before taking over the top job in 2012. However, appointing consecutive female CEOs to a nation’s top bank is unheard of across much of Europe, with the sector remaining very male-dominated. In Germany only 9% of current executive-level employees in the banking sector are women while a study by the Financial Conduct Authority found that only 25% of those going into banking in London are female. A recent study by the Financial Times into 50 of the world’s biggest banks backed this up, revealing that only one in four senior roles within the industry are currently held by women. Bank Leumi, however, is the antithesis to this trend. 60% of the total roles in the bank and seven out of the fifteen positions in Rakefet-Aminoach’s senior management team are held by women, including the COO, Head of Digital Banking, Head of Internal Audit and Chief Spokesperson. This fits a much wider trend across Israel, where three of the country’s largest five banks have female CEOs. In addition to Russak-Aminoach, Lilach Asher-Topilsky is the CEO at Israel Discount Bank and Smadar Barber-Tsadik is the CEO at First International Bank. Furthermore, 35.5% of high-tech workers in Israel are a woman, which dwarfs Silicon Valley where only 20% of developers and 11% of executives are female. Russak-Aminoach feels there are two main reasons for this. The first relates to Israel’s compulsory military service which women must undertake for a minimum of two years. From the age of 18, whilst completing their service, women are exposed to an incomparable raft of new technology, given positions of responsibility, and the backing from their superiors to use, design and manufacture new software. Recent figures released by WHO, found that 55% of recruits to Israel’s infamous Unit 8200, which acts as the country’s signal intelligence unit, were female. Known as “Israel’s Secret Start-up Machine,” companies founded by former members of Unit 8200 include Check Point, Viber and Imperva. Its 18-21-year-old recruits were believed to have also been behind the 2010 Stuxnet computer virus that infected Iranian nuclear facilities, as well as Duqu 2.0 – said to be the most sophisticated computer malware ever developed. The second factor, Russak-Aminoach believes, is that women in Israel are encouraged from an early age to embrace technology, to trial and develop their own ideas and are given more leeway than their counterparts across Europe if initially things don’t go well. This “chutzpah” has seen Israel earn the reputation as the “start-up nation,” with the highest concentration of high-tech companies per population in the entire world. Interestingly, Israel also has more smart phones and home computers per population than any other country in the world. This “chutzpah” mentality saw Russak-Aminoach launch what is considered to be her greatest achievement to date: Pepper. Pepper is Israel’s first digital-only bank which can be operated entirely through the consumer’s mobile phone. However, in the build up to its launch Russak-Aminoach faced tough questioning both internally and externally about the potential impact of Pepper on Leumi Bank, in that it could potentially disrupt its own original platforms. , than Leumi’s traditional “brick and mortar” offerings. Those setting up a Pepper account have no need to travel to a physical branch to open up or to maintain their account and instead can manage their checking account, credit card and account transactions all through their mobile. After lengthy consultation with their consumers the bank has also included personalized features such as smart savings, daily updates, and no checking or withdrawal fees. Pepper Pay, which is part of the platform, also allows users to transfer money and apply for a loan through the app. Support also is on hand 24/7 from Bank Leumi’s support team, who use machine learning and artificial intelligence to ensure consumers can pass quickly through any security checks. If you lose your bank card while on a night out – fear not! – The banks will even hand-deliver you a replacement, regardless of the time. After initially looking to expand into both India and the U.K., Bank Leumi chose the U.S. instead as it viewed American banks as behind when it came to adapting technology. A new additional feature, Pepper Invest, is intended for release next year which aims to make investing in a company easy for your average consumer. Finally, Russak-Aminoach has launched plans for an entire replacement of Leumi’s IT core system over the next seven years which she believes is key to remaining ahead of their competitors. There is much to admire about the erudite Russak-Aminoach – from her dominance of a traditional male-orientated industry to the launch of what is probably the most exciting digital-banking app to date in the face of considerable opposition. 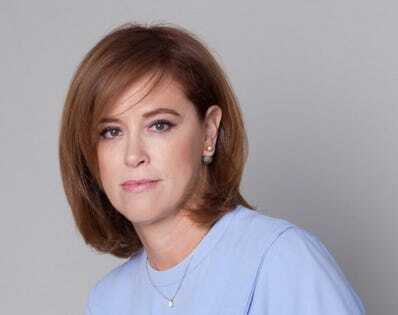 After revolutionizing the Israeli banking industry, Russak-Aminoach now has her sights set on expanding Leumi’s platforms worldwide. It would be foolish to bet against her succeeding.